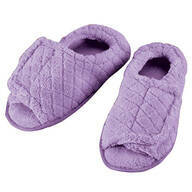 Chintz soft slippers pamper your feet in cloud-soft luxury! 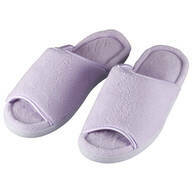 They're lightweight and oh-so-comfy slippers for women. Nonbinding pink bands edge floral chintz bonded to cushiony foam. 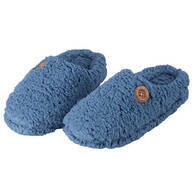 Step-in style soft slippers features nonskid soles; machine washable. Imported. Medium (6-7). Large (8-9), XL (9-10). 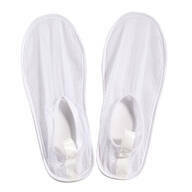 …to help alleviate crooked toes, hammer toes and other conditions. 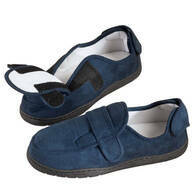 Minimalist design fits discreetly under socks and can be worn with most types of shoes and slippers for all-day comfort. Toe corrector is sold individually. One size fits most. 50% polyester/40% latex/10% polyamide. Hand wash.